When "Crazy Rich Asians" hits theaters this August, it will be the first major Hollywood film with a majority Asian-American cast in almost 25 years. Henry Golding, who stars in the film opposite Constance Wu, said on the "The View" that the cast knew their work in the movie was important. "It was such a pure experience," Golding said Tuesday. "I mean, everyone on set knew that there was something special about this project. And that filtered down from Jon Chu, the director. He had this vision, and the fact that Kevin Kwan, the ['Crazy Rich Asians'] author, was such an integral part of the entire project, it just had this sort of, this authenticity behind it. And the fact that it was an all-Asian cast just brought the game." 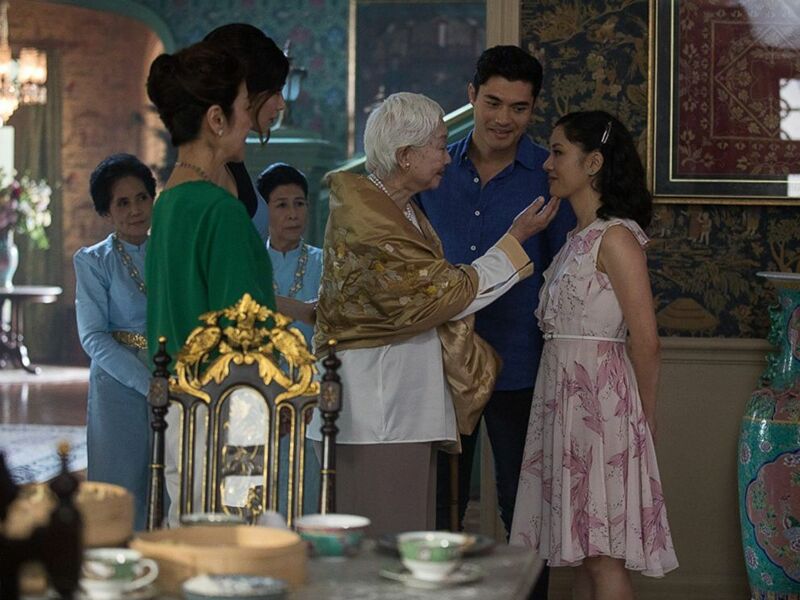 Michelle Yeoh, Constance Wu, Gemma Chan, and Henry Golding in a scene from "Crazy Rich Asians," 2018. Golding plays Nick Young, a Singaporean man living in New York and dating Wu's character Rachel Chu. But the 31-year-old, who began his on-camera career as a TV presenter and travel host, said he had previously turned down auditions for the role multiple times. "I wasn't in that frame of mind, and a lot of my life, I'd sort of designated my mindset to being something, and at that point, I was a presenter," he explained. "So when the offer came, they were like, 'Oh, do you want to audition for this role? It’s going to be a big movie.' I was like, 'Oh, I've heard of it. It's going to be fantastic, but it's for someone else, someone else who is going to bring the A-game, who's a legitimate actor, who the studio's going to gamble on' Because it's such a big deal." Some critics have also questioned whether Golding is Asian enough for the role. His father is from England, and his mother is Malaysian. "There were sort of outcries of whitewashing, but, you know, I don't have hate for that," he said. "I think it’s definitely a conversation that should be seen because it kind of just shows the studios that we're watching [that] we're very aware of how we want our films to tell authentic stories." 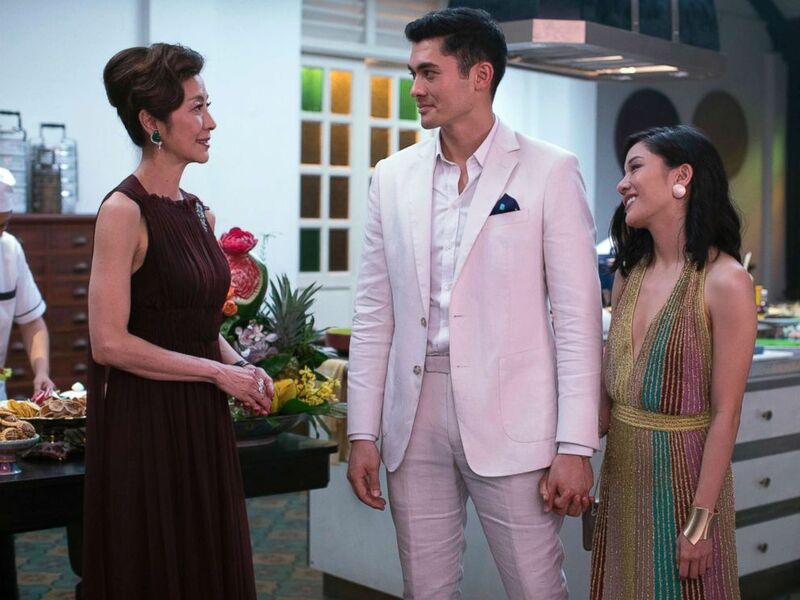 Pictured from left, Michelle Yeoh, Henry Golding and Constance Wu in a scene from "Crazy Rich Asians." Golding said throughout his life he'd struggled with his identity as half-British and half-Malaysian. "The one thing that I learned very young was to own my identity. And, I knew, I'm Asian through and through. There's nothing I needed to prove," Golding said. "So when that came up, I wasn't heartbroken or just sort of shied away from it. I think the best way to fight that sort of stuff is opening a dialogue. And that's what we did." Between "Crazy Rich Asians" and his upcoming film "A Simple Favor," Henry Golding's acting career is quickly taking off, a challenge he's had to face with his wife Liv Lo. "It wasn't the filming of the movies. It wasn't the marketing that we've sort of gone around the world for. It was the fact that I had to see my wife go through so much distress in knowing that she had to watch me fall in love with somebody else on screen and watch me," Golding said. "It's such a weird voyeuristic thing, seeing someone cheat on you. It looks so real." Henry Golding posted this photo on Instagram with this caption: "California beach'n," July 11, 2018. But Golding says he and his wife were able to overcome the issue. "She came to grips with it," he said, "and it was a learning process for both of us in a relationship like that."